Once the divorce is finalized, the parties must follow the court’s order closely. If a party needs to change something about the court’s order post-dissolution, they must go back to the court and request a new court order. Otherwise the changes will not be enforceable. It is common for one of the parties to request a change to either child support, child custody, or maintenance, and a knowledgeable family law attorney familiar with divorce matters can provide you valuable assistance. Child Custody and Visitation Modification: Because of changed circumstances, it is common for parents to request modification in the custody and visitation agreements. Sometimes it may be something as simple as just needing different days or hours. I can handle all types of cases involving modification of child custody such as relocation when a parent wishes to move out of state. 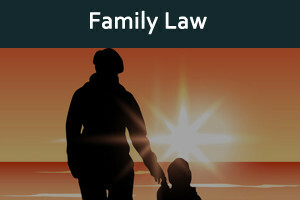 Child Support Modification : If one of the parents experiences a drastic change in circumstances, such as a new marriage or loss of a job, a new court order modifying child support may be needed to reflect the changes. I help my clients seek child support modifications whether it is to increase or decrease payments. I can also help my clients seek enforcement of support orders if a party is not following the court’s orders. Alimony and Spousal Support Modification : I also represent clients who need to modify an existing order regarding alimony or spousal maintenance. As a knowledgeable divorce attorney, I can advise you as to when such a modification can be made by the court or even terminated such as when a party subsequently marries. For more information about post dissolution modification please schedule an appointment by calling 970-663-9384 or fill out the contact form on this website.